Address: Omescape, All Saints, Carnegie Street, London, N1 9QW. 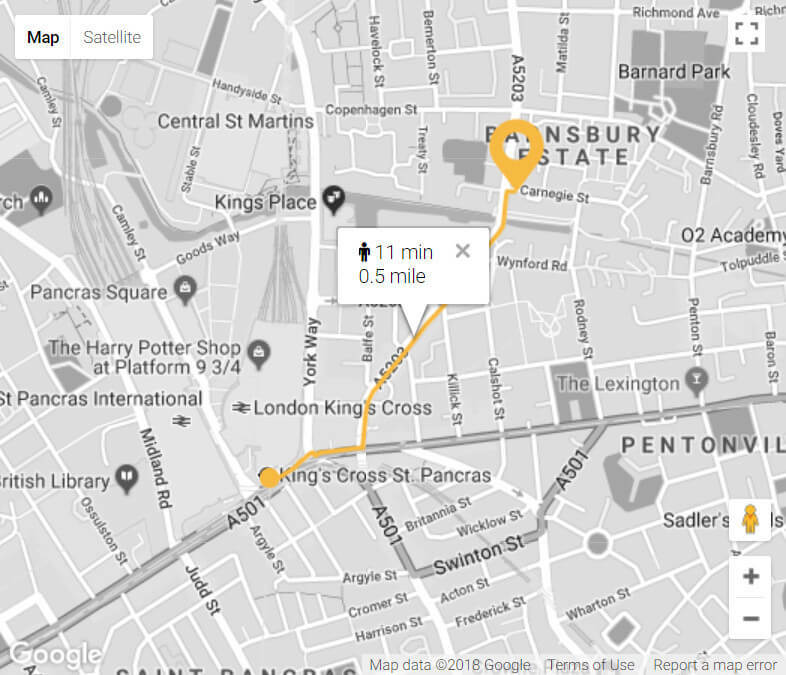 Underground & National Rail: About 10 minutes walk from King’s Cross following Caledonian Road. Bus: No. 17, 91 and 259 stop L & R (Carnegie Street). Drive: We are just outside the London Congestion Charge zone and on-street parking is available (free after 6:30 pm Monday-Friday, 1:30pm on Saturday and all day Sunday). Please send an email to info@omescapelondon.co.uk or use the form below. We will get back to you as soon as we can! About 8 minutes walk from Aldgate East Station (District / Hammersmith & City Line). 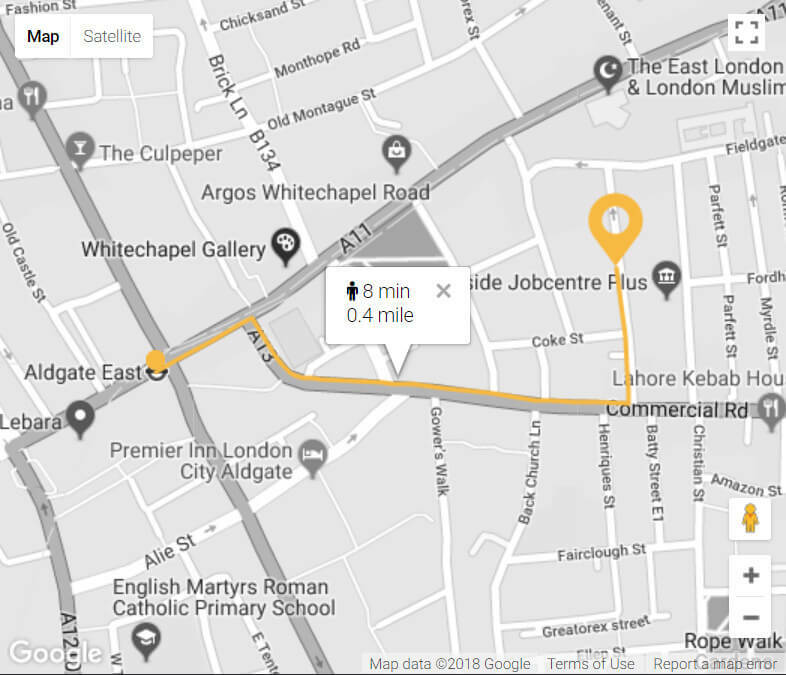 About 10 minutes walk from Aldgate Station (Circle / Metropolitan Line). No. 15, 115, 135 Stop P & U (London Metropolitan University). No. 25, 205, 254 Stop D & K (Adler Street). Drive: We are just outside the London Congestion Charge zone and on-street parking is available (free after 5:30 pm Monday-Friday and all day weekends). However, parking spaces are very popular so please plan extra time to park when driving.